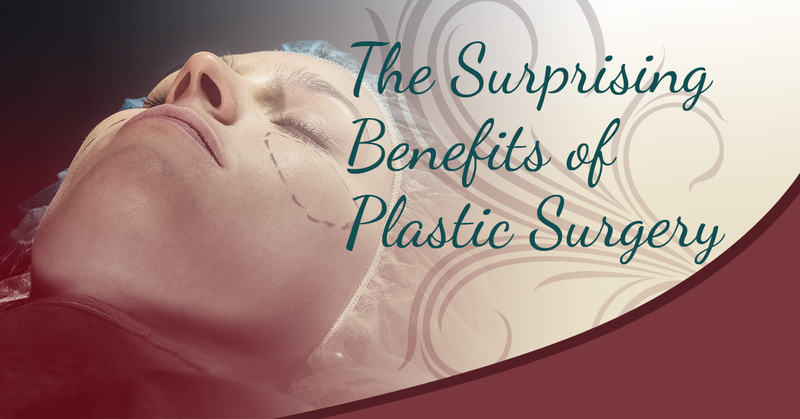 Getting plastic surgery is more beneficial than you might think. #1. It helps to relieve chronic pain. Have you been living with chronic shoulder, neck or back pain due to large breasts? Some plastic surgery procedures, like tummy tucks and breast reduction surgery, can help to relieve chronic pain in the shoulder, neck and/or back by eliminating excess tissue and fat, that can lead to sleep problems, intolerance to exercise, headaches and other painful symptoms. #2. It can help to ease skin irritation. Have you recently lost a lot of weight? If so, you may be left with excess skin, which creates skin folds that can lead to skin infections and irritation. Eliminating the excess skin through a surgical procedure, like a tummy tuck, will help to reduce or, in some cases, completely eliminate these infections. #3. It improves vision difficulties. Most people seek blepharoplasty, or eyelid surgery, for aesthetic purposes, but if you have drooping or sagging upper eyelids, it can make it difficult to see. Removing this extra skin with plastic surgery can help to remove what’s obstructing your vision. #4. It encourages a healthier lifestyle. Plastic surgery helps patients to lead an all-around healthier lifestyle in many physical ways. For instance, weight loss through liposuction can make it easier and more comfortable to exercise, as can removing excess skin through a tummy, reducing the bulk and weight of large breasts through breast reduction and improving breathing through rhinoplasty. Furthermore, when patients start to enjoy a thinner, more attractive appearance through plastic surgery, it encourages them to keep up their results by eating healthier and exercising more. Are you ready to experience the many benefits of plastic surgery? As you can see, there are so many ways that plastic and reconstructive surgery can enhance your life and benefit your health. If you’re interested in a surgical procedure, and you’d like to learn more about it or find out if it’s right for you, it’s time to schedule your appointment with us at Front Range Plastic & Reconstructive Surgery in Loveland. Our cosmetic consultations are 100-percent free, so you have nothing to lose!